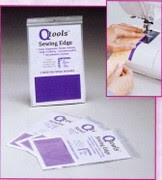 I use Qtools Cutting Edge Strips when I am cutting fabric. I make fewer mistakes when cutting therefore I waste less fabric. My 1/4 inch seams are easier to achieve with my Qtools Sewing Edge Strip attached to my sewing machine bed. See what I mean? It makes rotary cutting easier, more accurate and less frustrating trying to find that line again and again. The fabric stops at the edge of the fabric so I know exactly where it is not like a piece of painters tape. Again, I have used painters tape but the QTools Sewing Edge Strip is thicker and allows me to sew with speed and precision It aligns in front of the foot of the sewing machine for a perfect scant 1/4" seam. Another cool thing is that the strips are reusable and fit to the shape of the sewing machine. Just think how much painters tape we will save....now you can paint your entire house!!!! Better yet....bring your painters tape to my house because it desperately needs paint in several rooms :) And while you are at it....bring some brushes, rollers, pizzas, diet Pepsi, Tim Tams and a sleeping bag!!! "ABC 3-D” which has Marci’s strip pieced method of “Not Your Grandmother’s Tumbling Blocks” and also combines the most popular patterns out of Sara Nephew’s “Big Book of Building Block Quilts” and some great new patterns! If you want updates on Marci's latest and greatest you may want to check out her blog. She also has some great video tutorials on her website too!! I Want To Win! Q-Tools cutting edge strips are one of my absolute favorite notions. They make rotary cutting so much faster and your strip width is consistent. They can also be used over and over and over again. Such a simple 'tool' with such great results! Alicia's Attic sent 5 of each of the Qtools Cutting Edge Strips and 5 of the Qtools Sewing Edge Strips to be given to IHAN blog readers during this Anniversary Celebration. One of each will be included in the Grand Prize Drawing. Leave a comment telling us if you have used Qtools Cutting or Sewing Edge Strips and if not, why would you like to win them. Four lucky IHAN blog readers will be drawn at random on April 15, 2010 after 10 PM CMT!!! Thank you Alicia's Attic for joining IHAN in our First Anniversary Celebration by giving IHAN blog readers an opportunity to own some of your fantastic notions!!! PS...for those of you who have placed a button on your blog or posted on your blog or facebook page PRIOR to today, please e-mail me at IHaveANotion@yahoo.com. Please pur Button in the subject line so I can thank you personally. The first time I heard Edyta Sitar speak was at the Toledo Gathering of Quilters. She had come to give a program and share her quilts. It was such a wonderful experience for me. 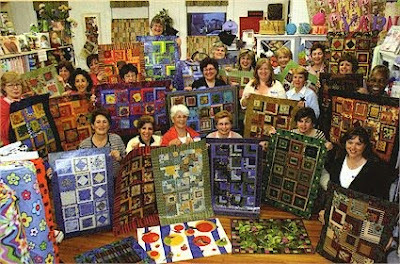 Edyta did not just share details about how she made her quilts, she shared the real life stories behind what inspired her to make the quilts. 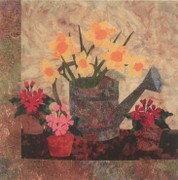 Her quilts took on new dimension for me and I began to think differently about quilting. I volunteered to help her husband hold up quilts while she gave her lecture. Being 6' tall is an advantage for holding up quilts for others to see. My secret motive was to be able to see them close up and touch them too. 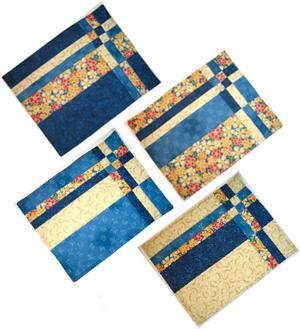 These are 5 of Edyta's patterns from Laundry Basket Quilts. She sent them to be given away to 5 very lucky IHAN blog readers. I really like Edyta's two books: Hop to It and Friendship Triangles. Both books are excellent. I love applique so I just had to have Hop To It. Friendship Triangles came out after Fall Quilt Market and IHAN was fortunate enough to be able to give an autographed copy to a lucky IHAN blog reader :) Many guilds and friends have had a great time participating in the Triangle Block Exchange Program Edyta shares in her book. That's not all....Edyta now designs fabric for MODA too!!! Now you know why I like Edyta Sitar's patterns, books and fabrics....she has a gift! Thank you Edyta and Laundry Basket Quilts for joining in IHAN's Anniversary Celebration!!! For additional information about increasing your chances of winning a drawing please click here. You won't need an afternoon cup of coffee or a sugar hit today. This giveaway should provide enough adrenaline to keep you up until midnight. Your eyes are not failing you...it is true....Aurifil Threads is giving one very dog gone lucky IHAN reader the Mark Lapinski's Intermediate Aurifil Thread Collection. Twelve great colors of 28 weight cotton thread 820 yards of thread. I thought that was the response I would get!!! I promise I did not open any of the threads although they may have been fondled....the wrapper is still on all the spools :) I don't know how much longer I can be trusted though. When I was a teenager I actually had a dream about finding the make up displays from the big department stores and no one wanted them. (Teenage Heaven) Now, I dream I come upon those incredible Aurifil Displays and those handsome Italian guys are away from their booth...(in my dream, I also have a dolly and a getaway vehicle). Can you imagine? 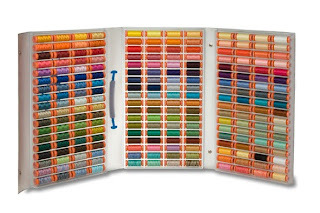 This must be Thread Heaven....all the colors....when ever you need one....just reach over and grab a spool. One for you sewing machine, a few for your embroidery machine (MJE, Diane, Dale, Joanne, Darlene), three or four for your serger and then some for your mid or long arm machine. 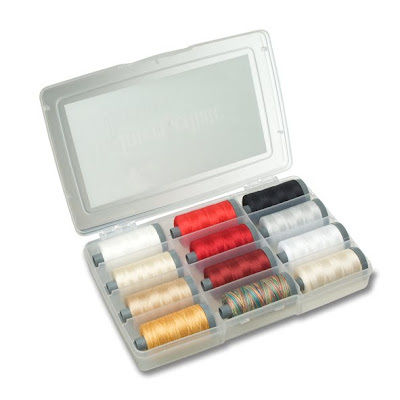 See what I mean....we need all this thread:) Of course there is plenty for hand applique, redwork, making lace and plenty for eye candy in your sewing room!! 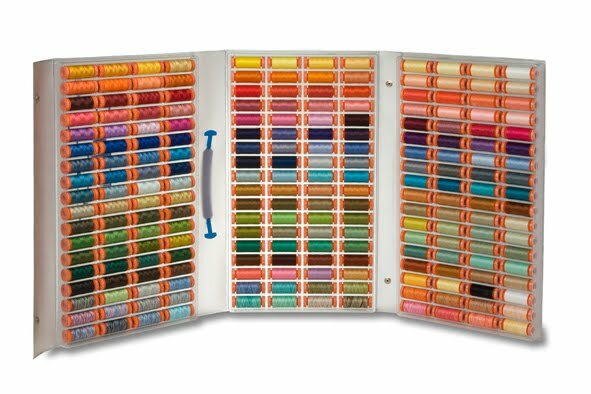 Want to know more about Aurifil thread? Click here :) Look at this incredible Suitcase 216 colors....oh yeah baby!!! I've heard people say Aurifil thread is expensive....do yourself a favor and check out the price you are paying for the equivalent thread in another brand. You will be surprised to find it is only a little more and the quality is certainly worth it!! 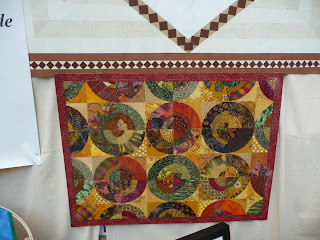 Have you used Aurifil Thread? If not, please tell us why you would like to win. THANK YOU Aurifil Threads and Alex Veronelli for giving one very lucky IHAN blog reader a box of your incredible thread!!! Anyone remember this picture? These are the women who "saved my life" in Pittsburgh. Carol, Lacey and Nancy were the ones who I approached on the streets of Pittsburgh and asked if they were familiar with the area. I had gotten turned around and could not find where I had parked and it was after 10 PM. They were so kind to help me find my van and then they waited until I got in and left. I could still be wandering the streets of Pittsburgh if it were not for these lovely ladies. Since that time I've had the pleasure of meeting up with them again and chatting with them over the Internet. I posted recently on the recognition Nancy received from American Express for the "Make Mine A Million Dollar Business Competition" and she was one of 10 awardees at the American Express Open Women’s Business Summit in Houston, Texas. First Annual Quilter's Family and Friends Cruise. They are going to the Western Caribbean, January 15 - 20, 2011. NO we are not giving away a cruise (I would have to draw my own name for that one folks!!! )....but if you want to join them...click here for more details. 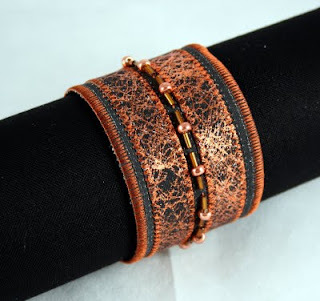 Can you imagine the fun of stitching with a group of wonderful friends on a cruise ship? Oh I'm going to be busy when my co-workers get older!! Back to the giveaway!!! To enter to win one of QuiltWoman's patterns please leave a comment telling us which patterns you would like to win and why. 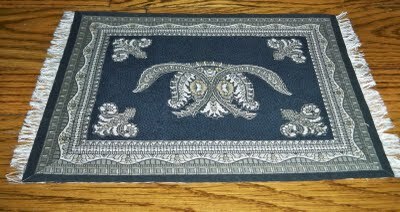 Two of the patterns will be put into the Grand Prize Drawing so that leaves 8 lucky people for this drawing. 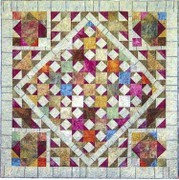 For a quilter this looks like the flood gates of Quilt Heaven has opened up and dropped out some incredible rulers!!! And....it did. When the Simplicity Creative Group told me they were sending one of each of the Studio Line Rulers.....I asked them to dial 911 and send the fire department to pick me up off the floor. I could not believe it until they arrived here at IHAN headquarters. It is soooo tempting to keep them all for myself....but I have not given in to the Quilt She Devil that lurks within me....I will be giving these all away to very...did I say very....I mean incredibly lucky IHAN blog readers. 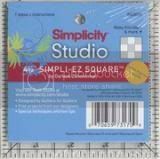 Simpli-EZ Bias Ruler - Cut bias strips quickly and easily from fat quarters or 1/2 yard cut of fabric. Cut perfect bias strips from 1/4in wide to 2 1/2in wide. Simpli-EZ Piping Wizard - Cut perfect seam allowances after covering piping cord. Use with multiple sizes of cording and seam allowance. Always a perfect seam allowance. 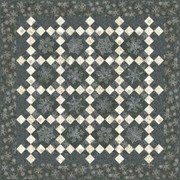 Great for working with piping for quilts, garments and craft projects. Simpli-EZ Flip n Set Ruler - Cut triangles to setting blocks on point. Folds open to cut triangles for 4in to 16in blocks. No math to figure. 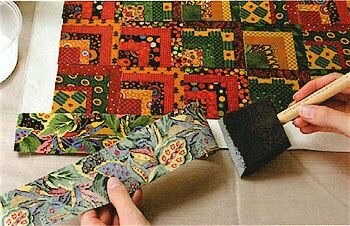 Also use to square corners on quilts. Simpli-EZ Tri-Mate Ruler - Ideal for use with rotary cutter. Cuts triangles 4 times as long as they are tall. Cuts triangles with finished heights from 1/2in - 3in. 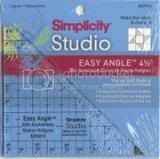 4.5" Easy Angle Anniversary Edition Ruler - Celebrating 20 years of Easy Angle with Sharon Hultgren. Cuts half square triangles from 1in to 4 1/2in. Built in seam allowance - no math to figure. Cut triangles from straight strips quickly and efficiently. Simpli-EZ 30 degree Triangle Ruler - For Dresden Plates and Fans. 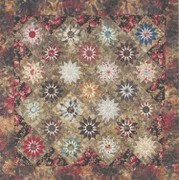 Eliminates need for center applique. Can be finished with curved edges or points. Many sizes on one tool. Use even size strips. 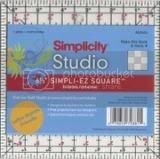 Simpli-EZ 45 degree Triangle Ruler - Great for use with Kaleidoscope quilts. Many sizes on one tool. Simpli-EZ Double Wedding Ring Ruler - Cut three different units with one tool-centers, melons, and squares. Inside curves are cut easily as outside curves. A and B units can be cut from strips or squares. Simpli-EZ Pineapple Ruler - Make Pineapple blocks with no math, no trapezoids, no stress. Make blocks in almost unlimited range of sizes. Make both traditional and non-traditional Pineapple blocks. 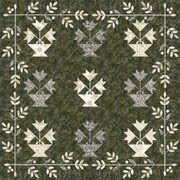 Makes log cabin, album style, and many other quilt blocks quickly and easily. Simpli-EZ 4.5in x 4.5in Square Ruler - Marked in black for right handed users and red for left handed users. Numbers read correctly ANY way the ruler is turned. 1/4in markings. 45 lines for centering when squaring up blocks. Useful for cutting squares and trimming blocks to size. Simpli-EZ 6.5in x 6.5in Square Ruler - Marked in black for right handed users and red for left handed users. Numbers read correctly ANY way the ruler is turned. 1/4in markings. 45 lines for centering when squaring up blocks. Useful for cutting squares and trimming blocks to size. Simpli-EZ 9.5in x 9.5in Square Ruler - Marked in black for right handed users and red for left handed users. Numbers read correctly ANY way the ruler is turned. 1/4in markings. 45 lines for centering when squaring up blocks. Useful for cutting squares and trimming blocks to size. Simpli-EZ 12.5in x 12.5in Square Ruler - Marked in black for right handed users and red for left handed users. Numbers read correctly ANY way the ruler is turned. 1/4in markings. 45 lines for centering when squaring up blocks. Useful for cutting squares and trimming blocks to size. Simpli-EZ Rule 6.5in x 12.5in - Marked in black for right handed users and red for left handed users. Numbers read correctly ANY way the ruler is turned. 1/8in and 1/4in markings. 45 and 60 degree markings. Large numbers foe easy reading. Simpli-EZ Rule 6.5in x 24in - Marked in black for right handed users and red for left handed users. Numbers read correctly ANY way the ruler is turned. 1/8in and 1/4in markings. 45 and 60 degree markings. Large numbers foe easy reading. Simpli-EZ Jelly Roll Ruler - Ruler size is 5in x 10in, perfect for cutting 10in Layer Cake into Jelly Rolls, Honey Buns, and Charm Packs. I could write a review on these rulers....but Mom Gadget has already done it for me. 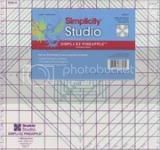 Click here to read their reviews on the Simplicity Studio Rulers and see their excellent photos of how to use the rulers successfully. For this giveaway you will need to leave a comment telling us why you want to win one of these wonderful rulers. Feel free to leave your own reviews if you own one or more of these rulers. There are 16 Rulers here to be given away. Four will be put into the Grand Prize Drawing so we will draw 12 names for this giveaway. Thank you Simplicity Creative Group for allowing IHAN to give away such wonderful rulers for our First Anniversary Celebration!!! Please read over the Anniversary Giveaway Guidelines to learn about more chances to win during the 30 Days of Giveaways. When Ellen Highsmith Silver wrote to me saying she wanted to join in the IHAN Anniversary Celebration I was soooo excited. I love Ellen's book, Floorquilts. I first learned about her book while I was in Pittsburgh for Quilt Market. I was drawn into a booth by Ellen's book Floorquilts. As I walked into the booth a very nice gentleman greeted me and asked me if I had ever heard of Roc-lon Multi-Purpose Cloth. I had no clue what it was much less what someone would do with it. When I left I was thrilled to learn all the different things that can be made with Multi-Purpose Cloth. They had my attention. I thought the Roc-lon Multi-Purpose Cloth was neat in that it didn't frey and it could be used for so many things. 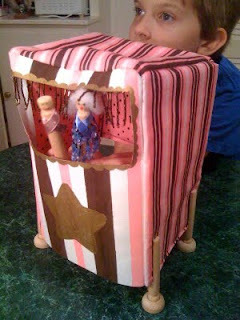 I learned that the fabric is sealed using Mod Podge (all in one glue, sealer and finish). When I learned that all three companies were going to help IHAN Celebrate....well.....I just can't help but post them together. The giveaways are separate but I wanted to share with everyone how I learned about these really cool things. These are students that Ellen Highsmith Silver taught to make Floorquilts. Aren't they beautiful? Wouldn't it be great to have one of these on the floor or even wall if you prefer? · Through clear instructions and projects, Ellen guides readers through the process of transforming your favorite stash fabrics into durable floor coverings. 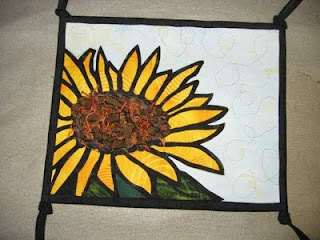 · 12 projects with step-by-step instructions, appliqué patterns and dozens of helpful tips throughout. · More than floor coverings! Ellen also applies her technique to placemats, coasters, luggage tags, trivets, bookmarks, and more. 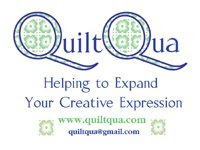 · A new place to show off your favorite quilt designs when your house is already filled with quilts! 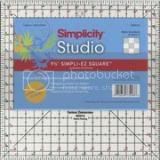 · Lots of how-to photographs and inspiring examples assure success for beginners and seasoned crafters alike. Now, on to Roc-lon Multi-Purpose Cloth made by Rockland Industries. Roc-lon Multi-Purpose Cloth is ideal for painting, sewing, machine embroidery, decoupage, and more. Roc-lon Multi-Purpose Cloth is reversible, does not fray or curl, is durable, lays flat, holds its shape, does not require primer or gesso, accepts fabric glue/tape, can be sewn or hold punched, and can be cut using household scissors. Here are some examples from IHAN's Roc-lon Multi-Purpose Cloth Challenge held last year. 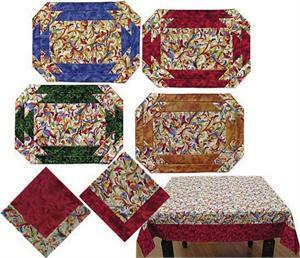 Aren't these some great examples of what can be made using Roc-lon Multi-Purpose Cloth? For more information and ideas click here. I've had several customers purchase Multi-Purpose Cloth to make banners for their churches. Your imagination is the limit with this cloth. You can use it as a window shade because it eliminates light, insulates against heat and cold, provides privacy and acts as a noise barrier. Mod Podge is an all in one glue, sealer and finish. The button above is from Amy's Mod Podge Rocks blog. 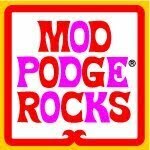 It is true, Mod Podge does indeed Rock and so does Amy!!! Plaid has made Mod Podge since the 60's. It comes in a variety of formulas including: Classic Mod Podge, Hard Coat Mod Podge, Satin Finish Mod Podge, Brush Stroke Mod Podge, Fabric Mod Podge, Paper Mod Podge, Outdoor Mod Podge, Sparkle Mod Podge, Puzzle Saver Mod Podge, Glow-in-the-Dark Mod Podge, Mod Podge Shimmer and Mod Podge Glitter. 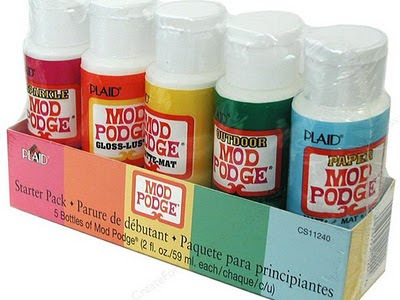 Mod Podge is an all in one glue, finish and sealer. It has been used in decoupage since the 60's. Ellen's Floorquilts is a perfect example of what can be made using Mod Podge :) For daily ideas using Mod Podge you want to follow Amy's Mod Podge Rocks Blog and look at Plaid's newsletter here. As I said when I started this post, these giveaways are separate. Ellen Highsmith Silver will send one lucky IHAN blog reader a copy of her book, Floorquilts and a kit of all essential supplies minus fabric, of course with which ANYONE can make any of the projects in the book. And the third drawing is for a Starter Pack of Mod Podge. It will be sent to the the address of the winners choice by Amy from Mod Podge Rocks!!! To enter today's drawing, you need to leave a comment telling us why you would like to win and what you plan on making with Floorquilts, Roc-lon Multi-Purpose Cloth and Mod Podge Starter Kit. Please leave a seperate comment for each of the giveaways that you would like to be entered into. If you just comment on one of the items, that will be the only drawing your comment will be entered into. Did Someone Say There Is ANOTHER Giveaway? Lets Spread The Word!!! Giveaways For A MONTH!!! Mary Lee Grabowski Does it AGAIN!! Do You Use A Needle Threader? Double Diamond Ruler -Re Post with More Info!!! "Do The Crazy Dance Mamma"